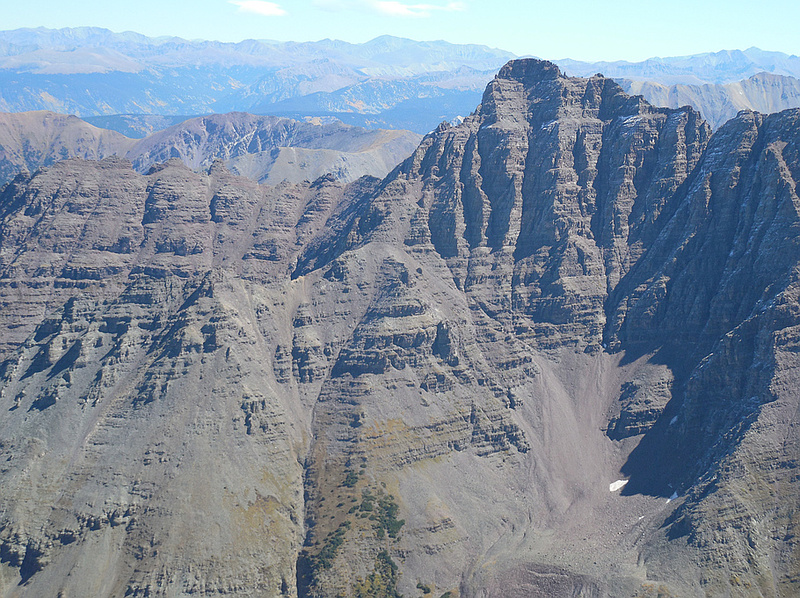 Pyramid Peak is a Colorado 14er in the Elk Mountains. 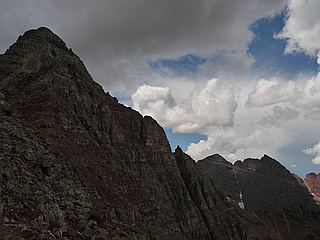 The summit somewhat resembles a ragged square pyramid and is visible from the Roaring Fork River valley north of Aspen along the canyon of Maroon Creek. Like many of the peaks in the Elks, Pyramid Peak is quite steep. The peak's summit rises 4,000 feet above Crater Lake in only 1.2 miles. The standard climbing route on Pyramid involves difficult route finding, high exposure, and a great deal of loose rock. 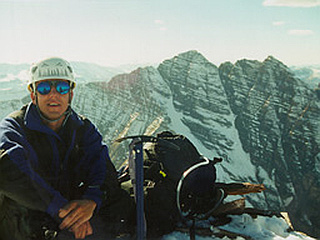 Hence it is one of the most difficult and dangerous of all of the standard routes on the Colorado fourteeners.